I wondered what happened to all those Compuserve acoustic couplers. Yet the earlier launched MAVEN orbiter at Mars is currently shovelling data back to Earth at an impressive 857.10 kilobits/sec. I'm aware that the orbiters at Mars can establish comms with the surface rovers and landers and then pass data back to Earth using their links to the DSN. Direct comms with the probe may not get used for data return. I used to work for a software company called Maven, and our insurance claims system was called Insight. Coincidence? A maven (also mavin) is a trusted expert in a particular field, who seeks to pass timely and relevant knowledge on to others in the respective field. A mavin with insight written in code - should we tell the SETI folk? Image not posted to Raw Images page though. Someone must have turned the Raw Image server off and back on again. 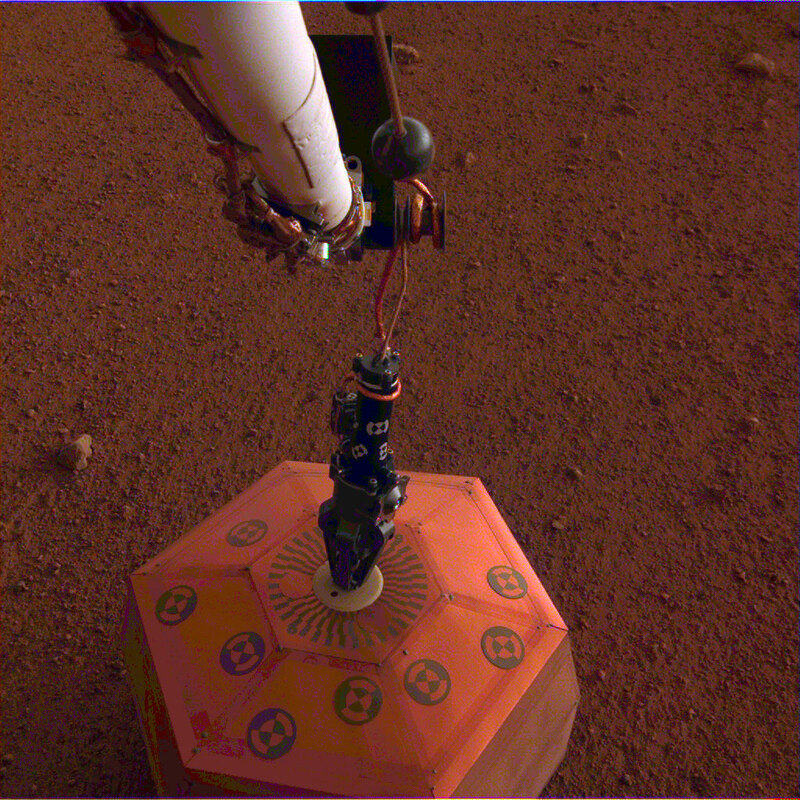 NASA's InSight lander placed its seismometer onto Mars on Dec. 19, 2018. This was the first time a seismometer had ever been placed onto the surface of another planet. The seismometer is the copper-colored object in this image, which was taken around Martian dusk.